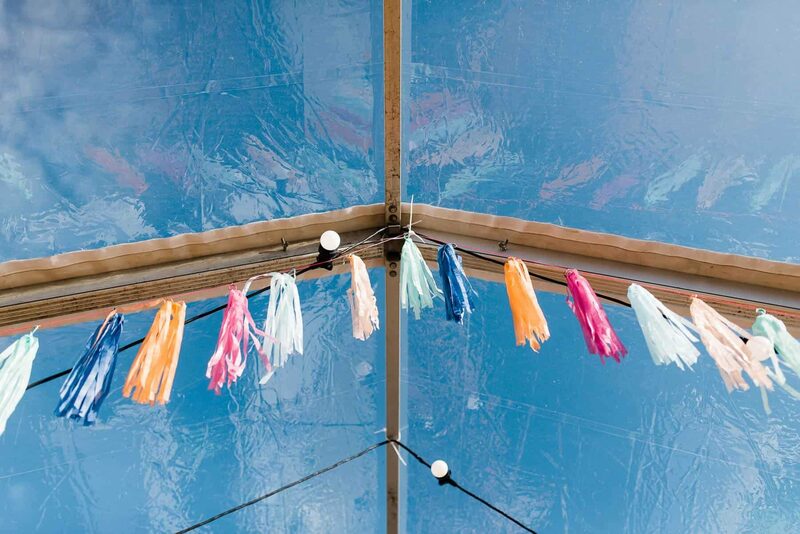 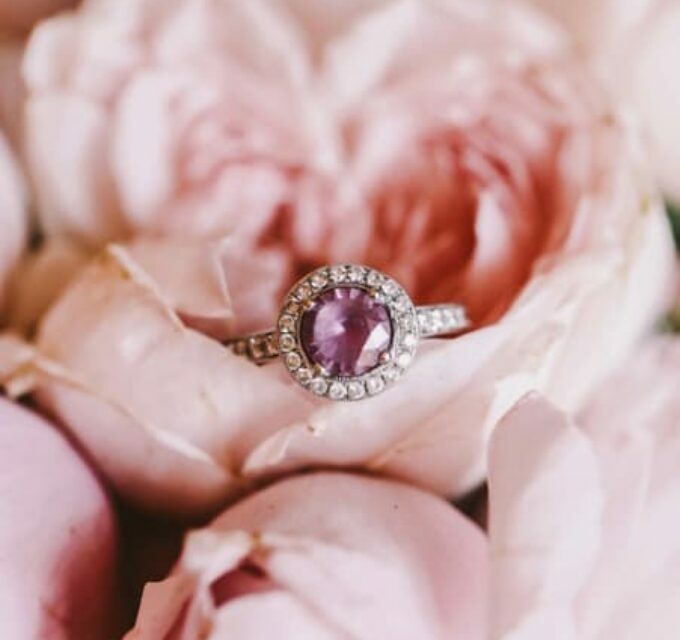 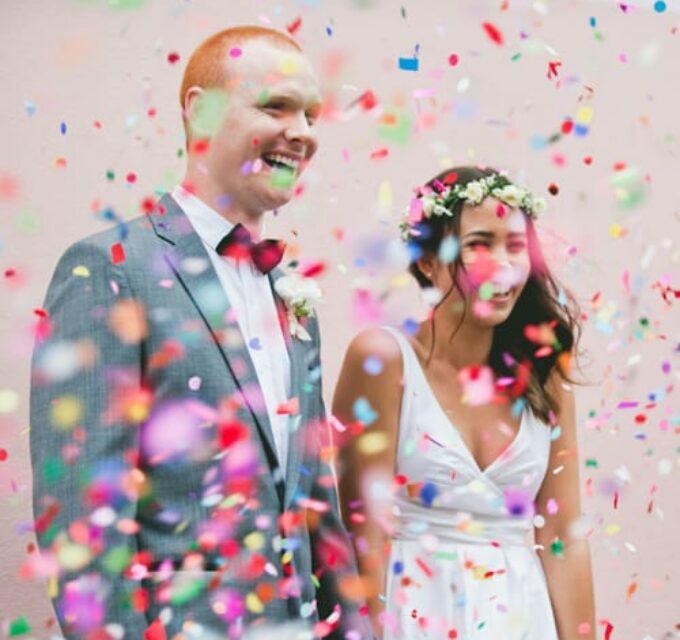 Anna & Sam’s Festival Wedding in Technicolour! 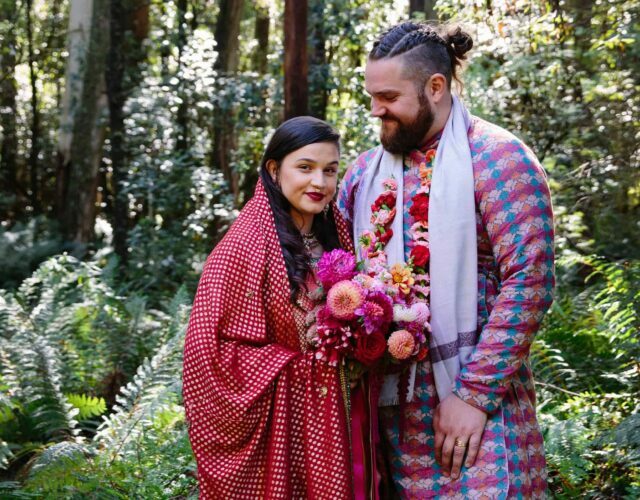 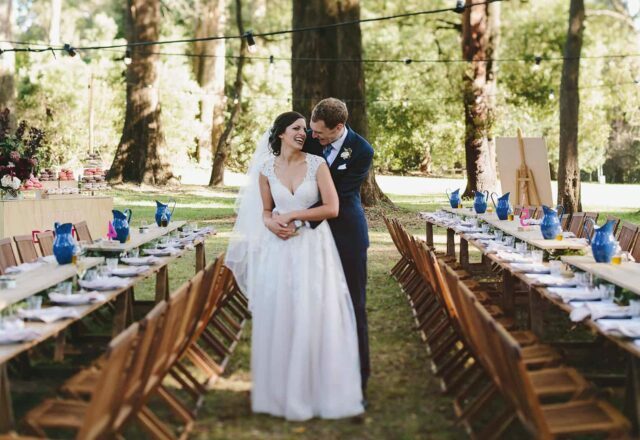 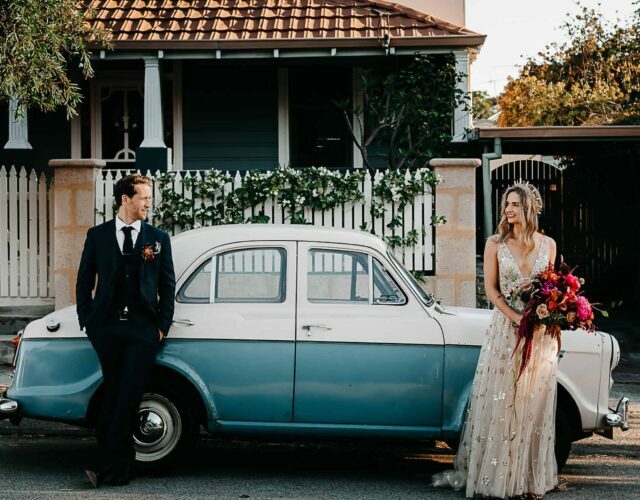 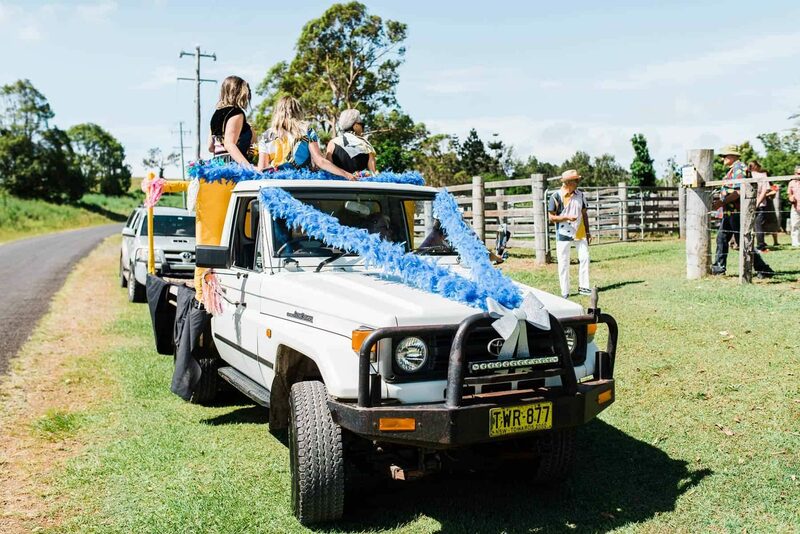 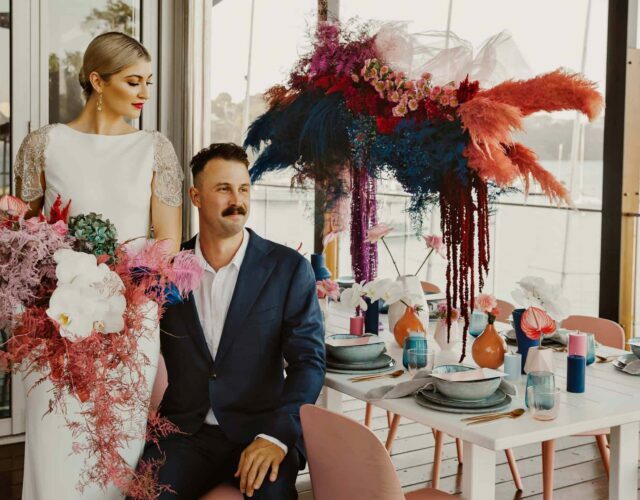 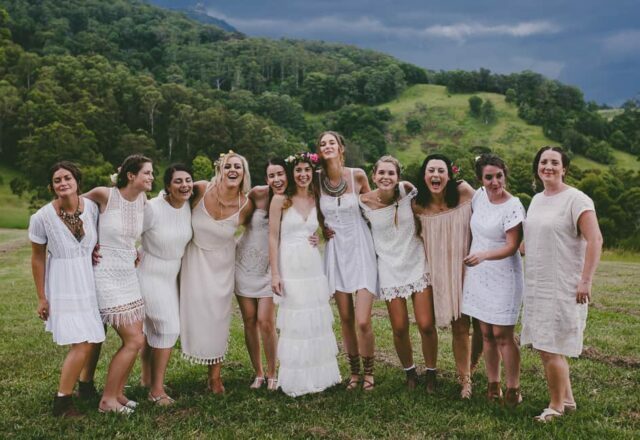 - nouba.com.au - Anna & Sam’s Festival Wedding in Technicolour! 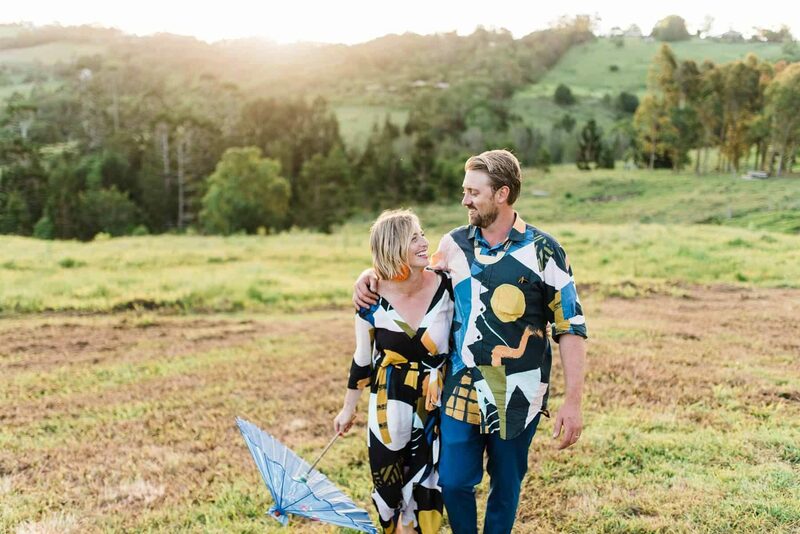 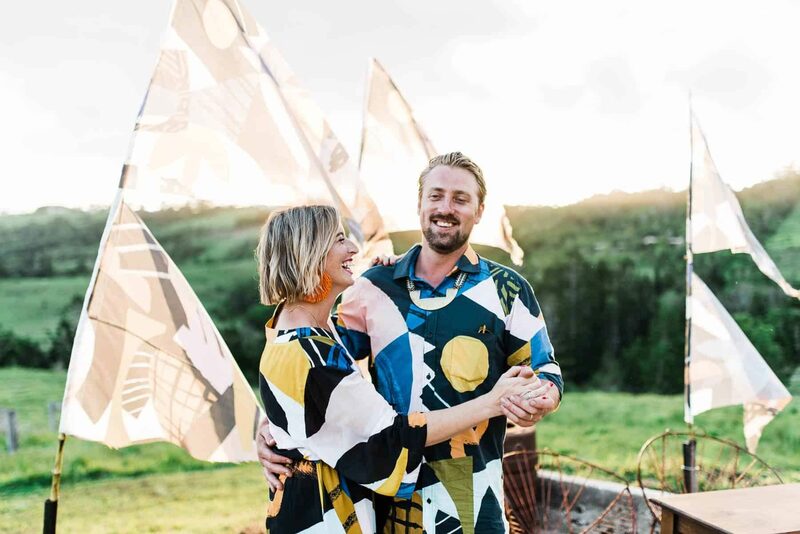 Creative couple Anna and Sam brought friends and family together for a weekend of sunshine and endless colour to celebrate a decade together. 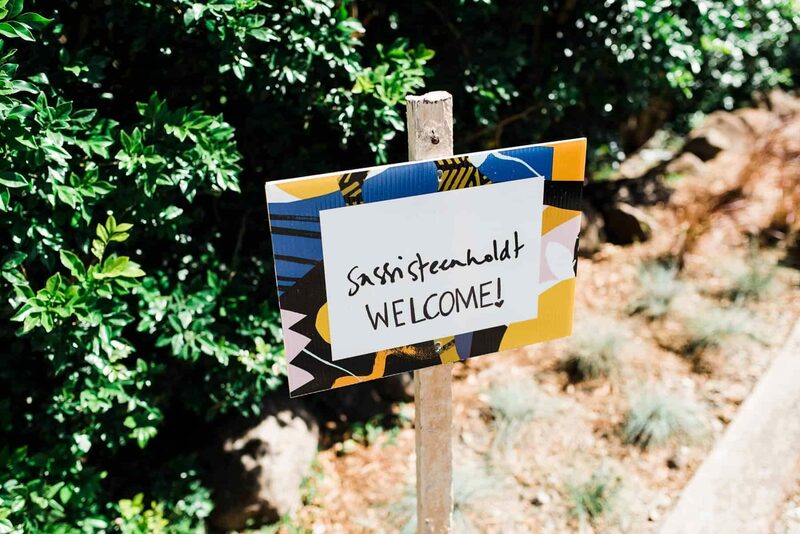 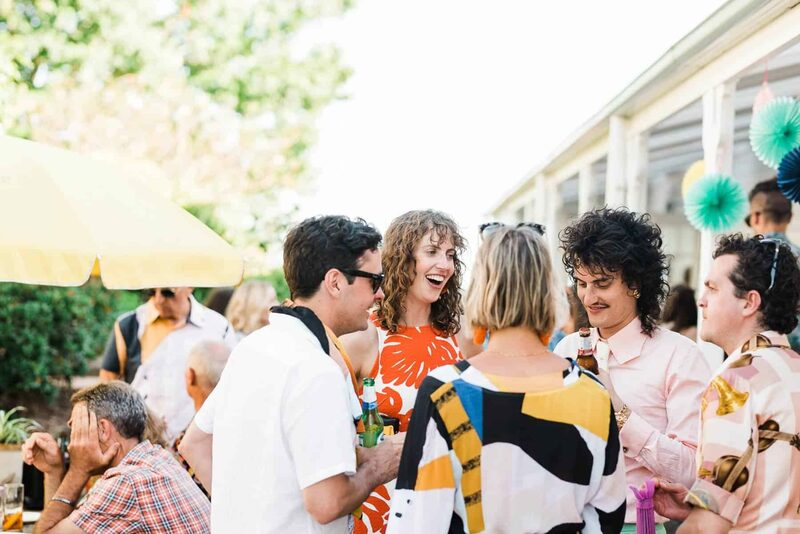 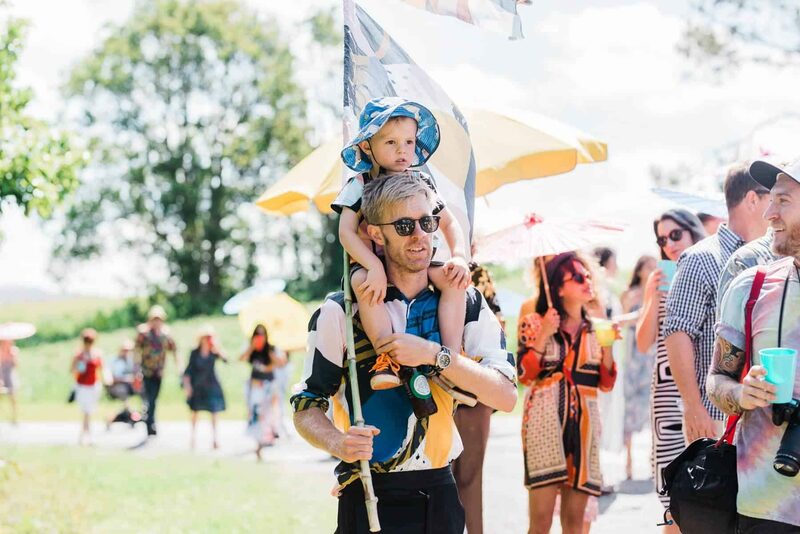 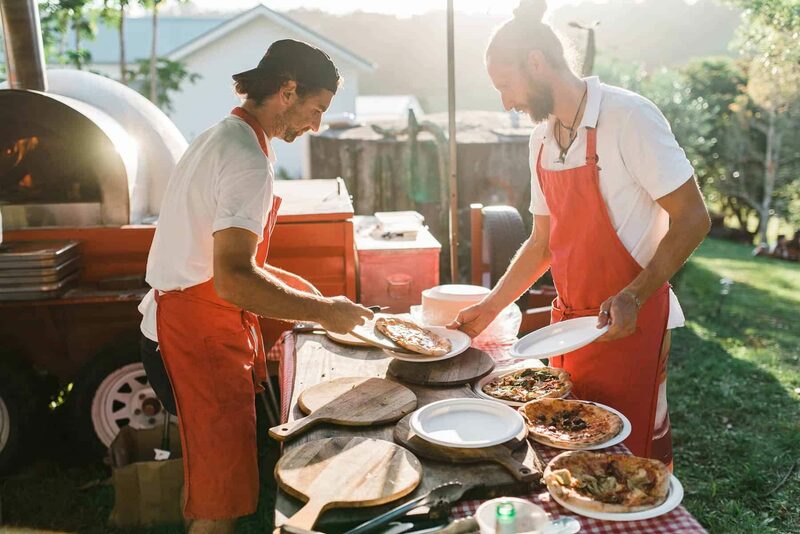 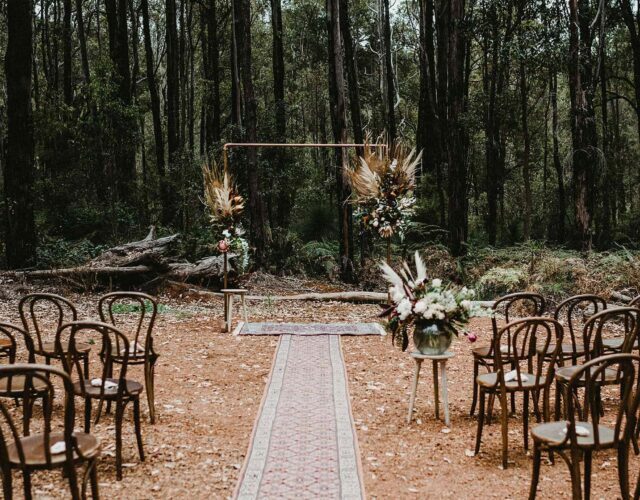 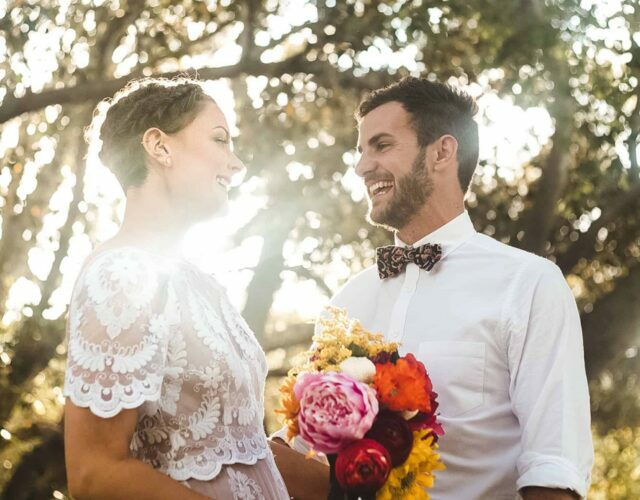 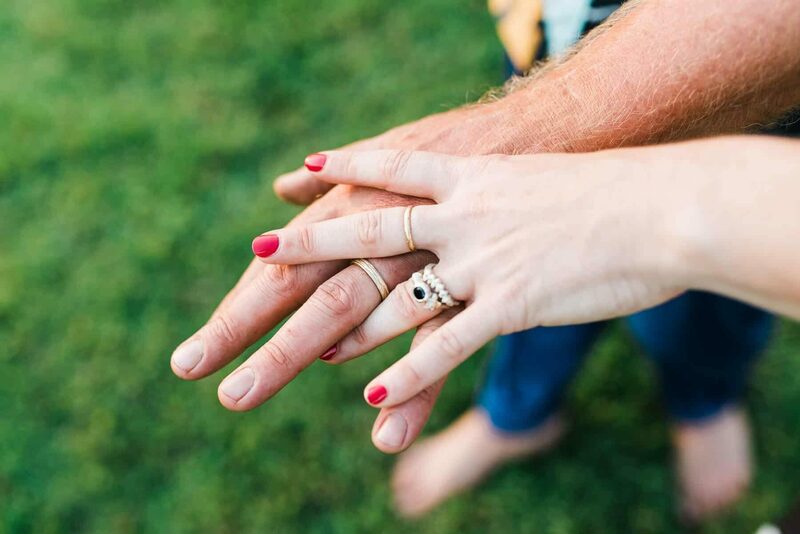 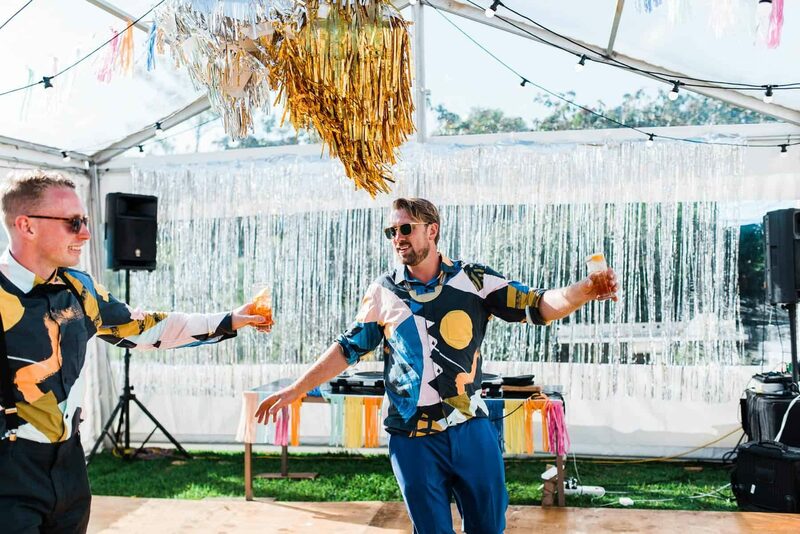 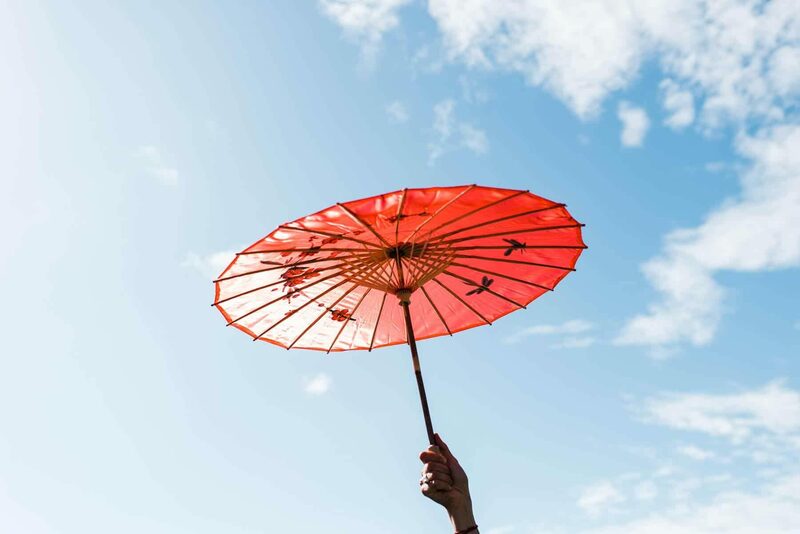 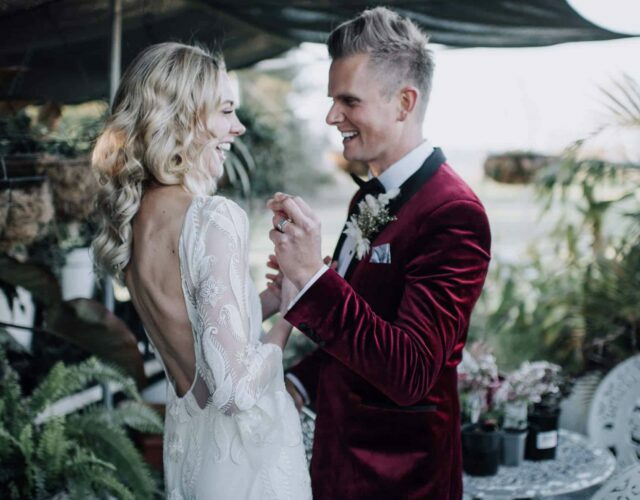 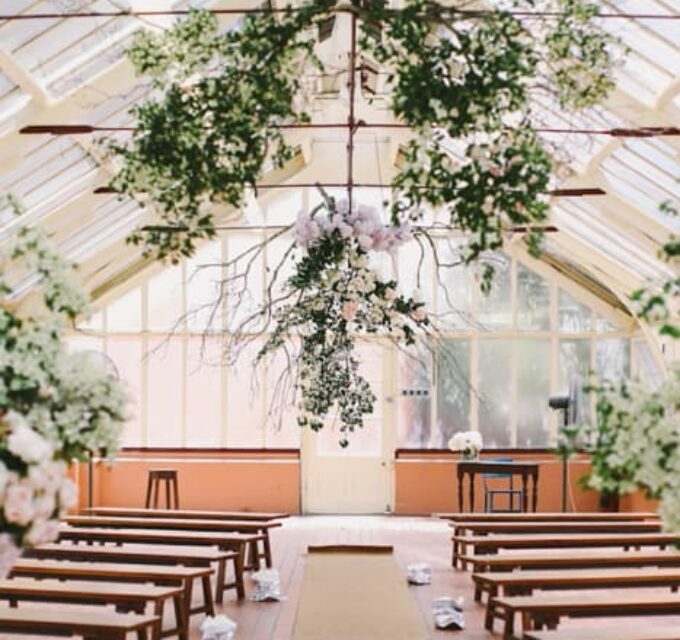 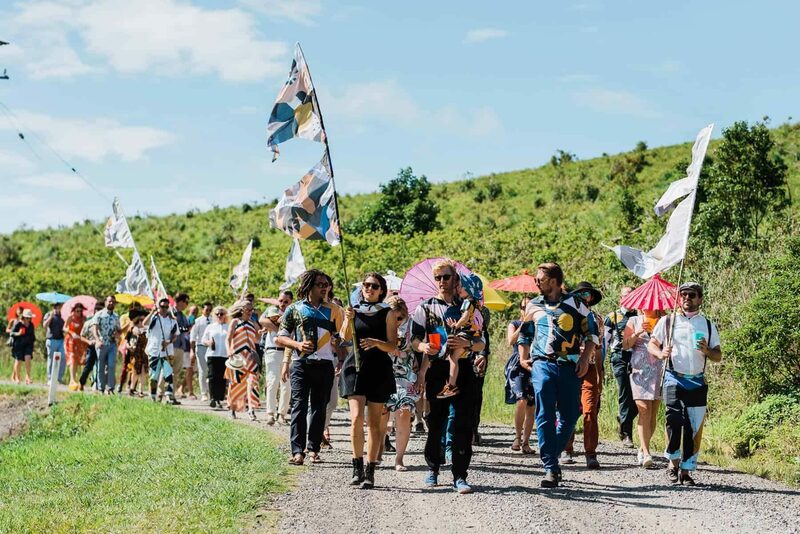 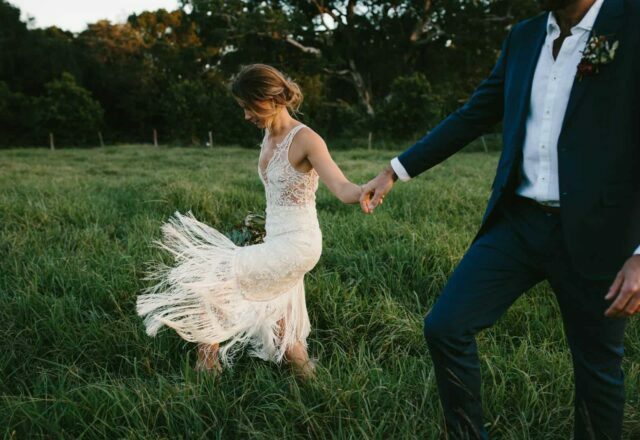 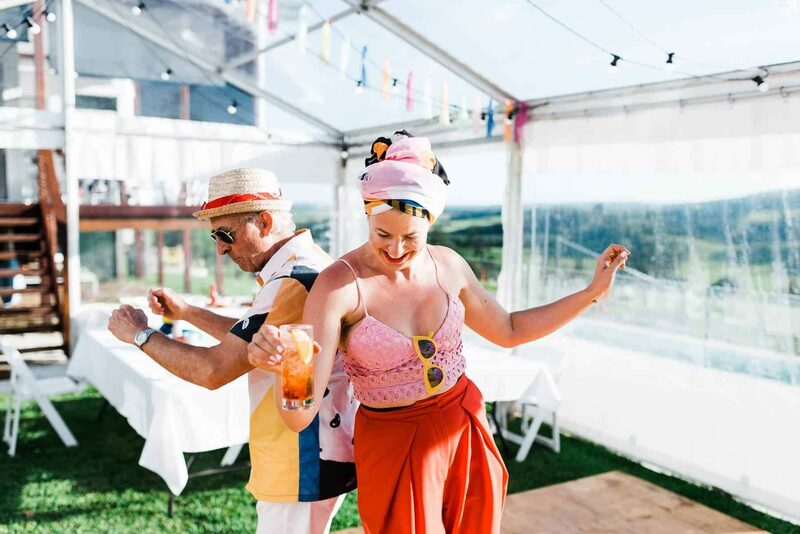 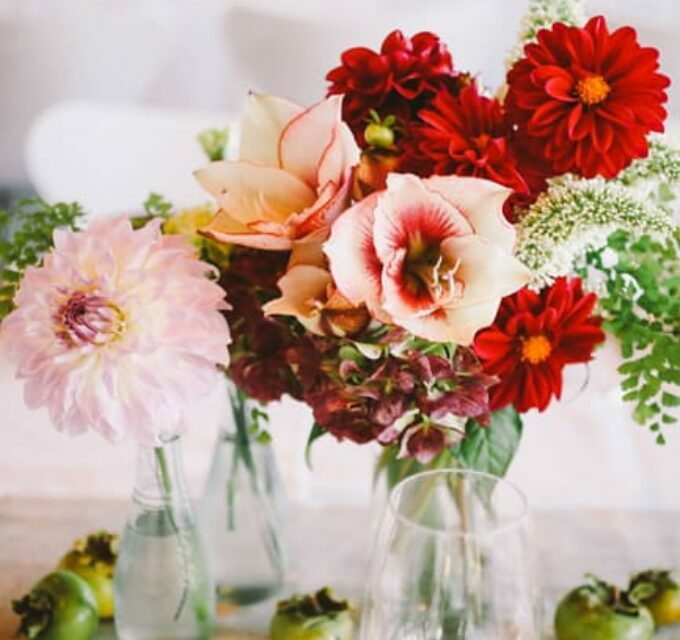 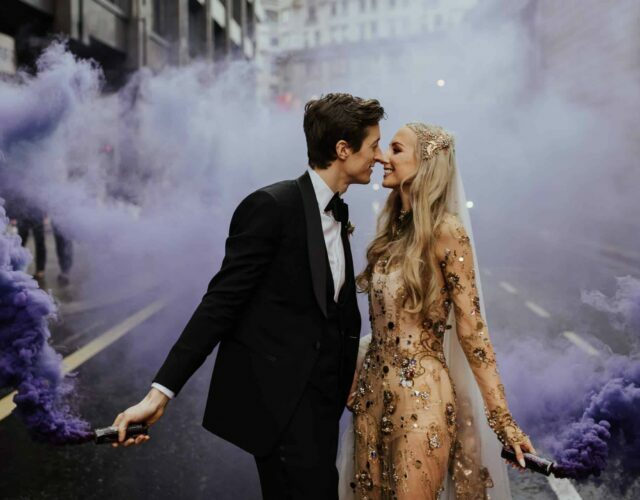 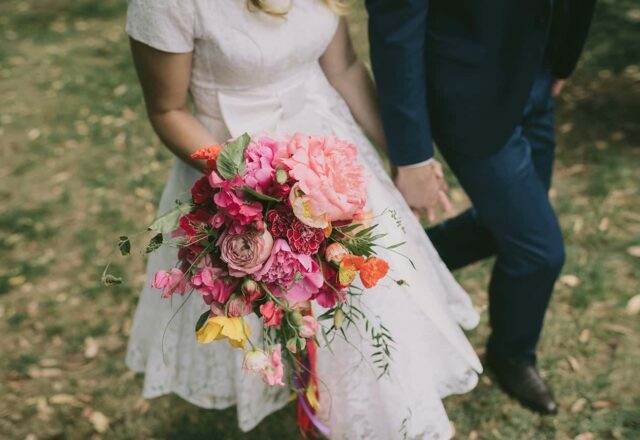 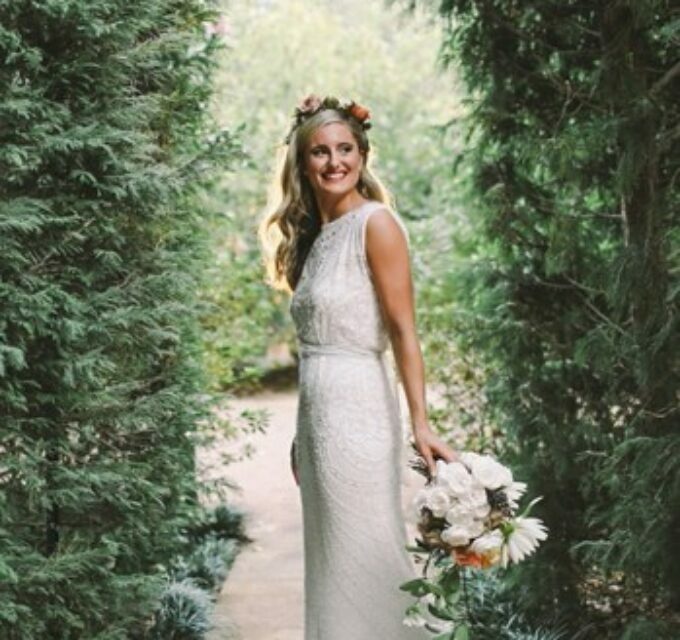 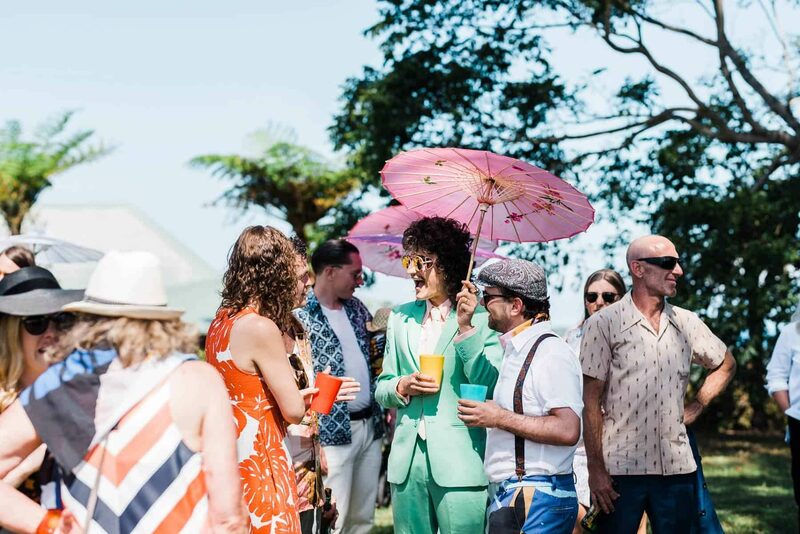 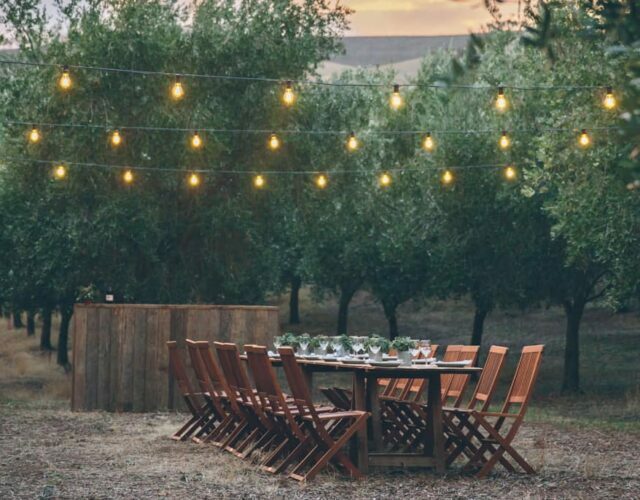 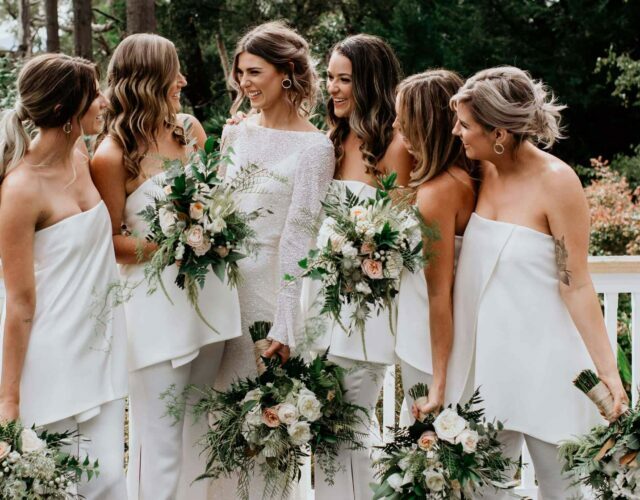 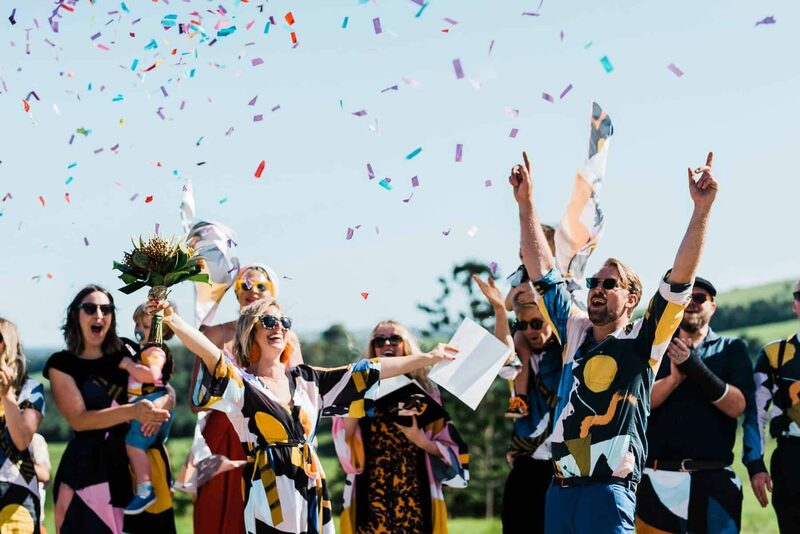 The vibrant aesthetic and festival vibes were captured by photographer Steve Doyle, who’s natural style suited this non-traditional wedding to a tee. 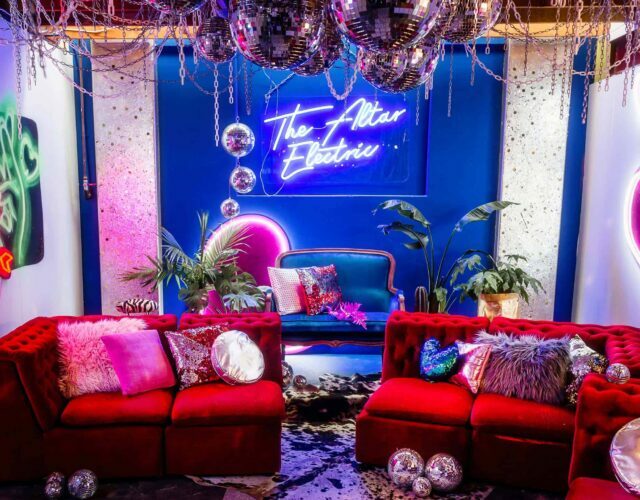 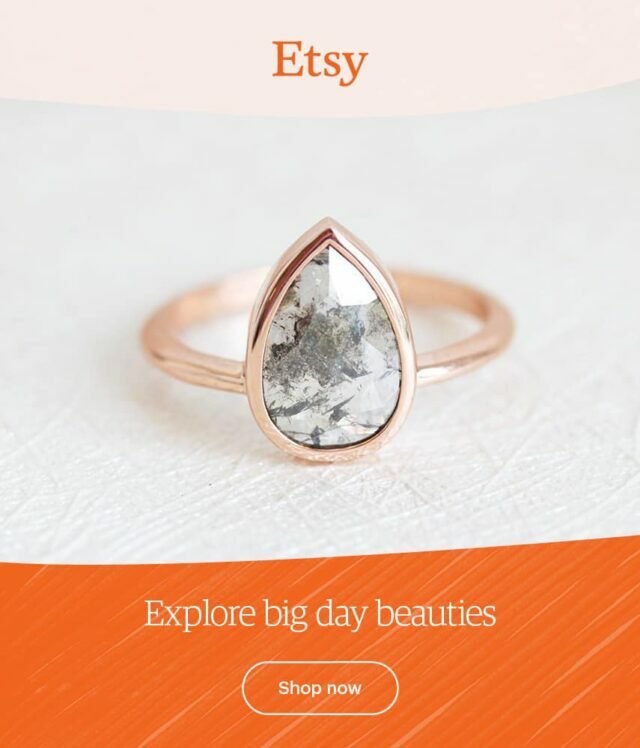 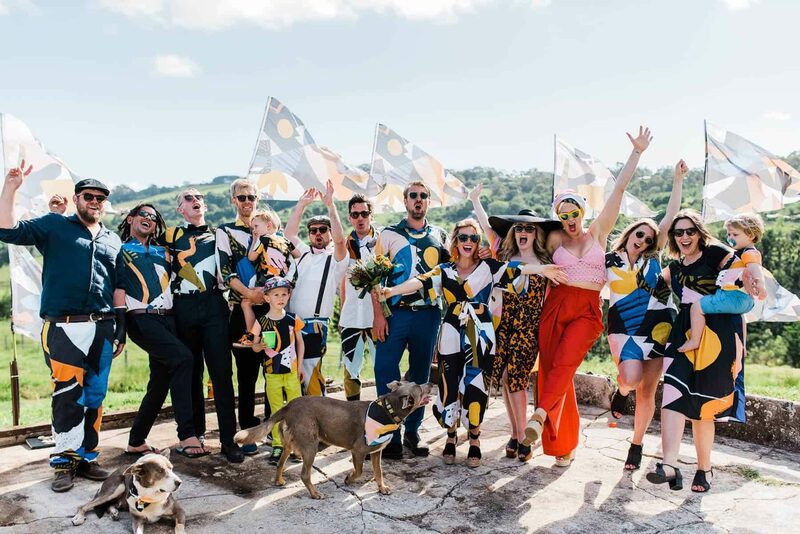 A textile designer by trade, the bride created a bold graphic print to be used across everything, from her wedding jumpsuit and bridal party outfits, to the décor and invitations. 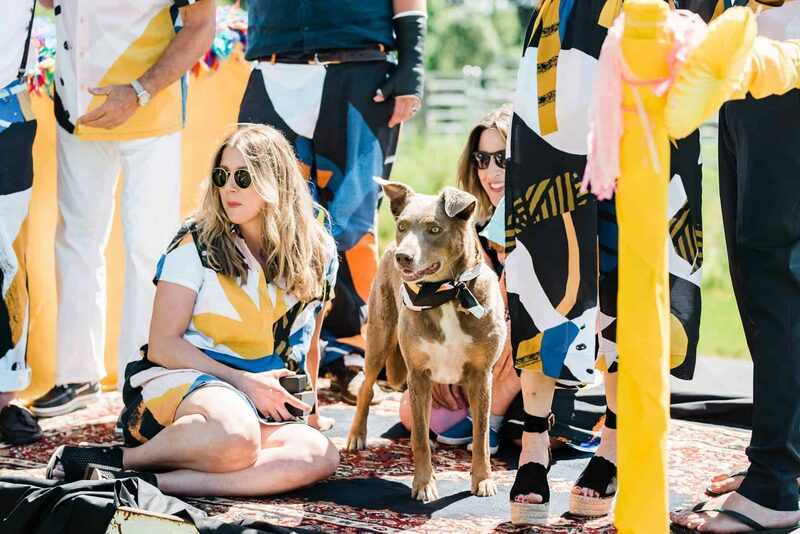 Even guests (and dogs!) 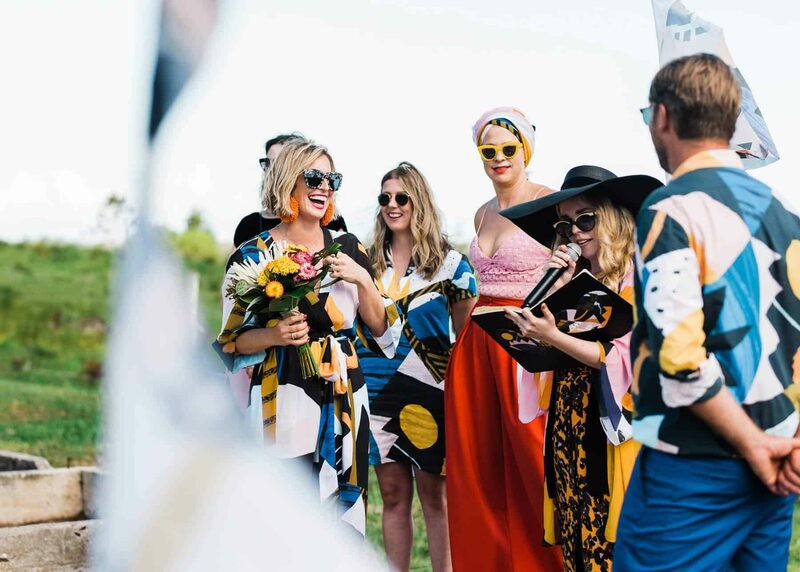 donned the signature print in the form of hats, scarves, ties and tees, ensuring the the whole party was bold and bright. 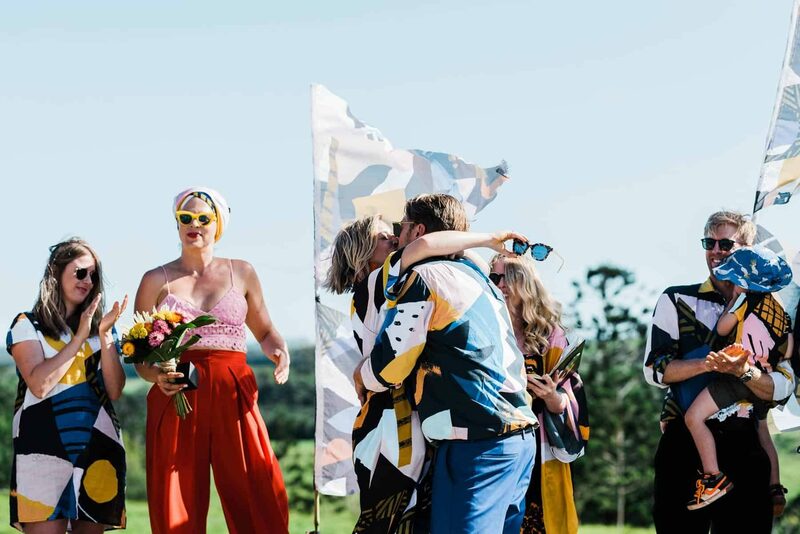 Throwing their wedding over the whole weekend, the party started on the Friday night with a dinner, the wedding on the Saturday and a recovery lunch on the Sunday, with friends and family pitching in to help with lighting, shopping and décor. 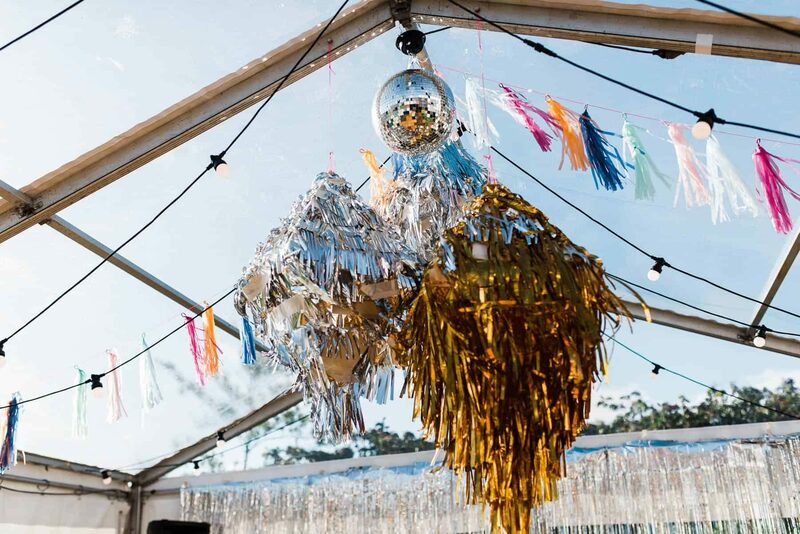 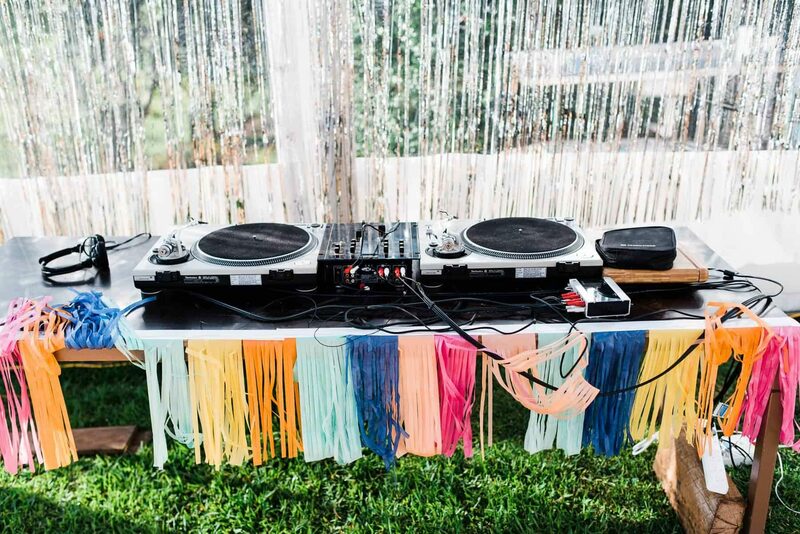 With plenty of DJ mates, there was no shortage of music to fill the vibrant three-day wedfest. 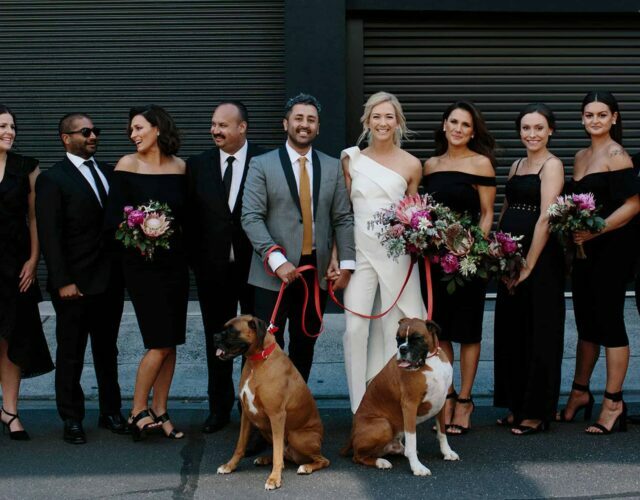 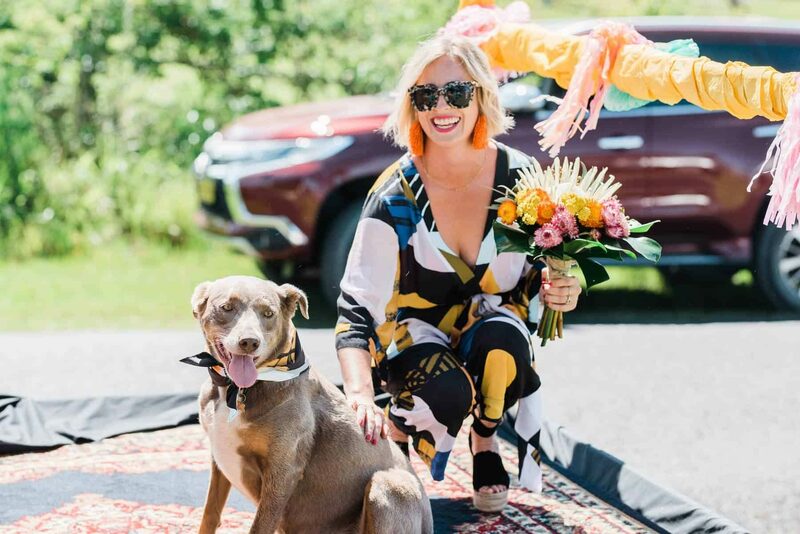 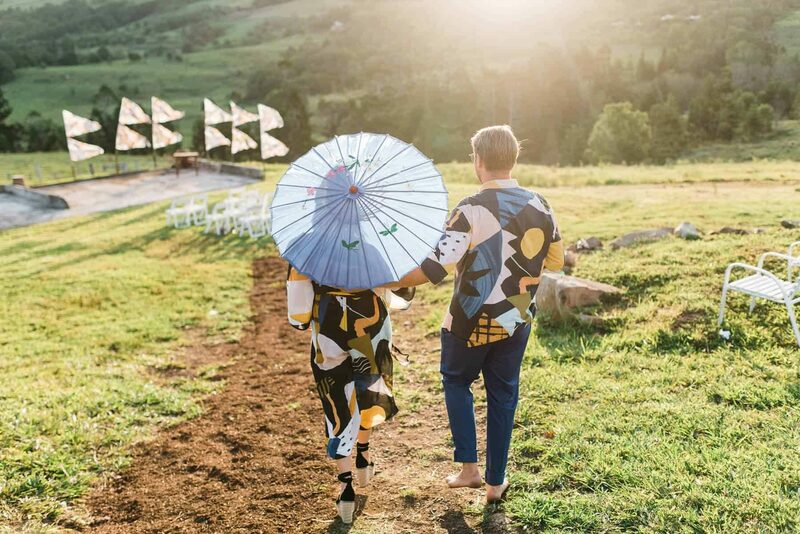 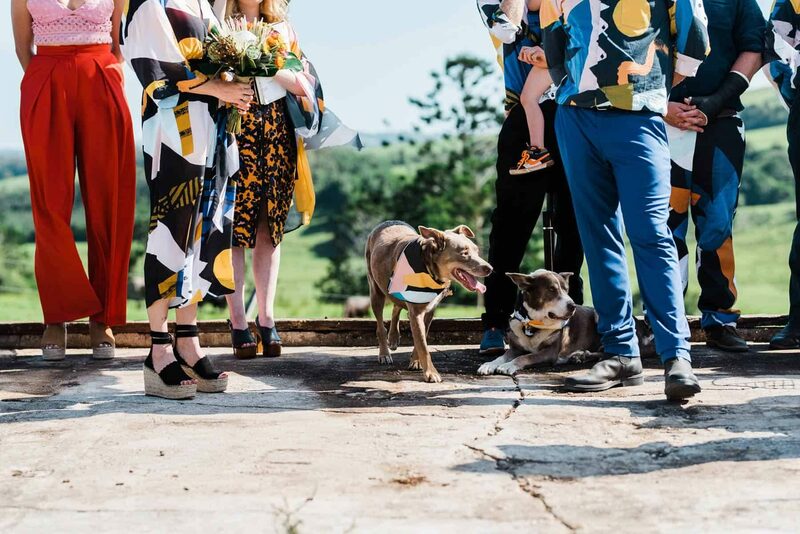 With their signature design printed by Print All Over Me, the couple’s friend Birgitta Helmer made the bride’s awesome jumpsuit and various items worn by the bridal party (and a bandana for the pup). 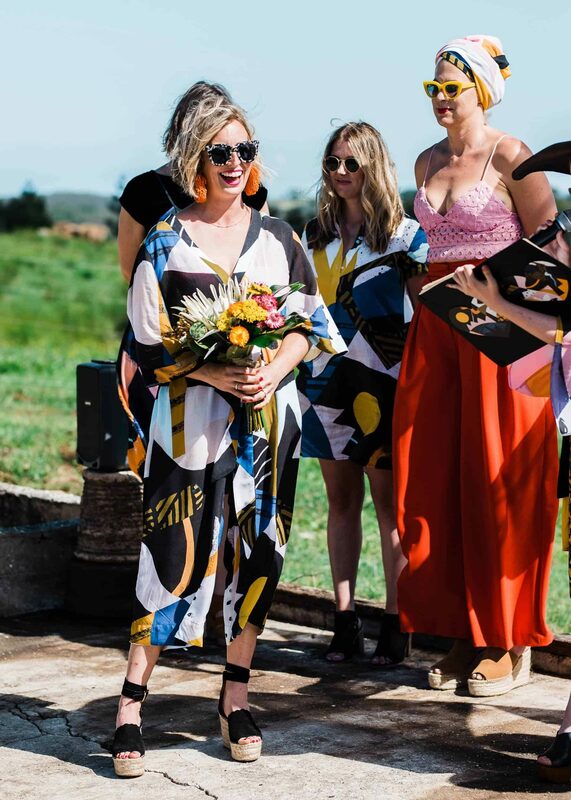 Anna completed her bold look with statement earrings, and splashed out on a pair of Chloe wedges. 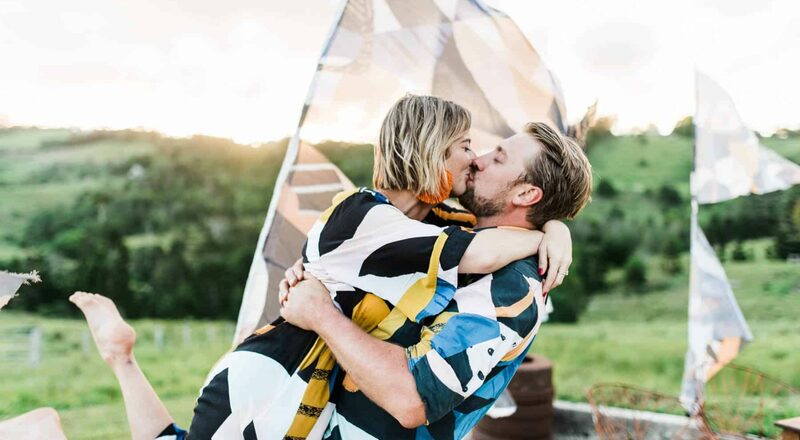 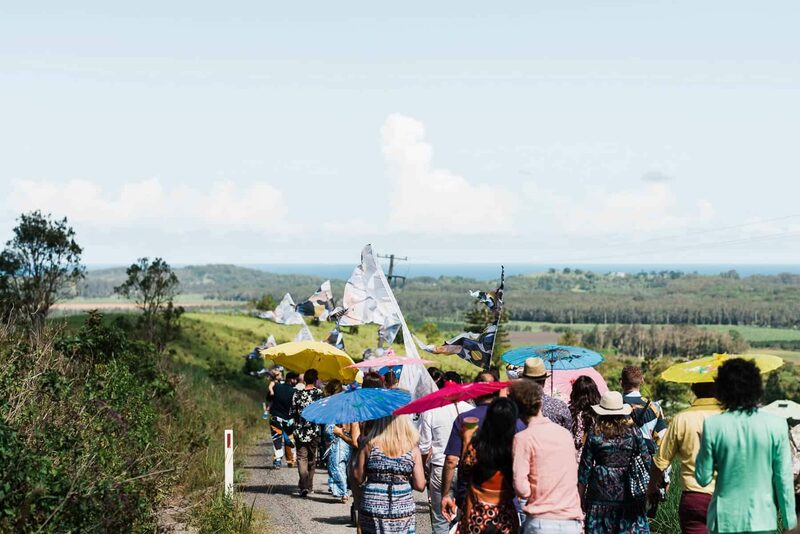 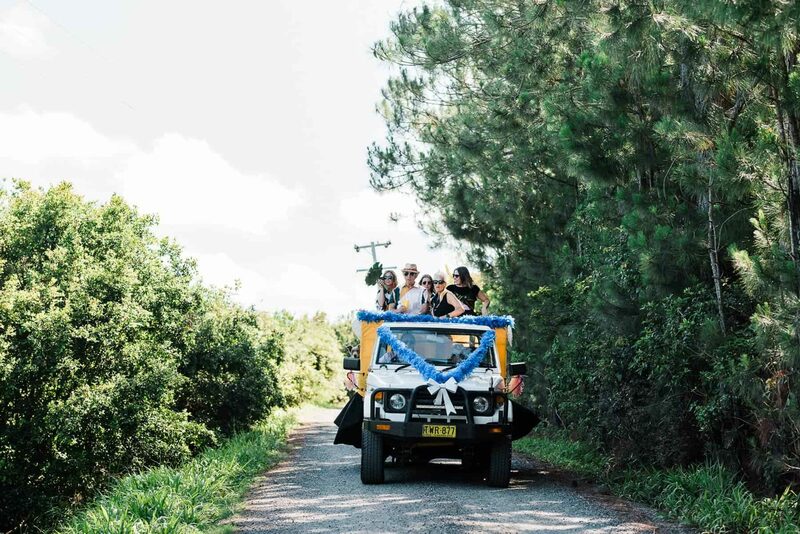 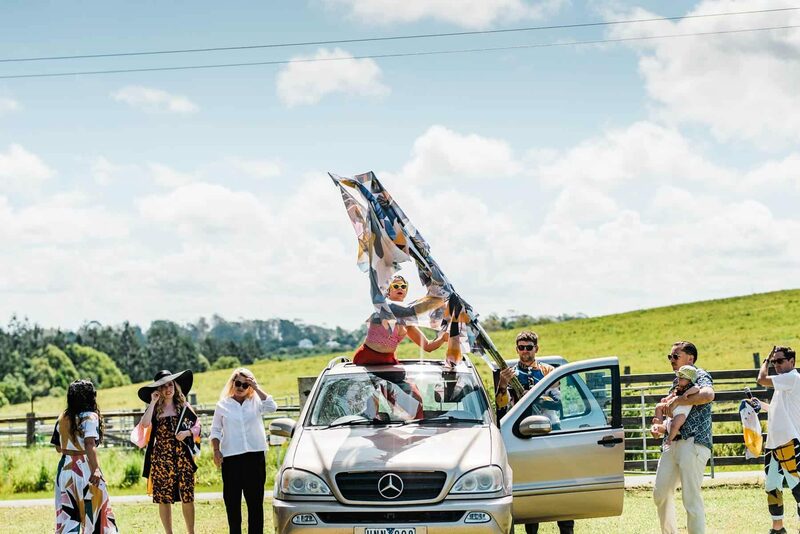 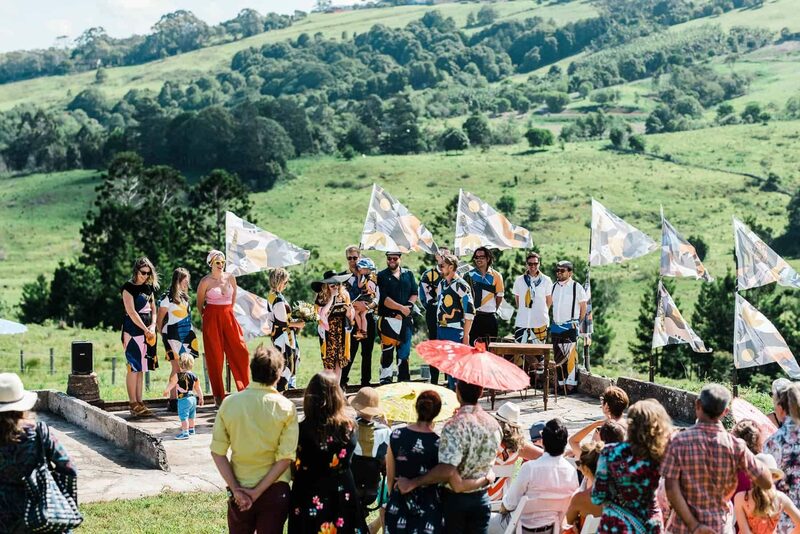 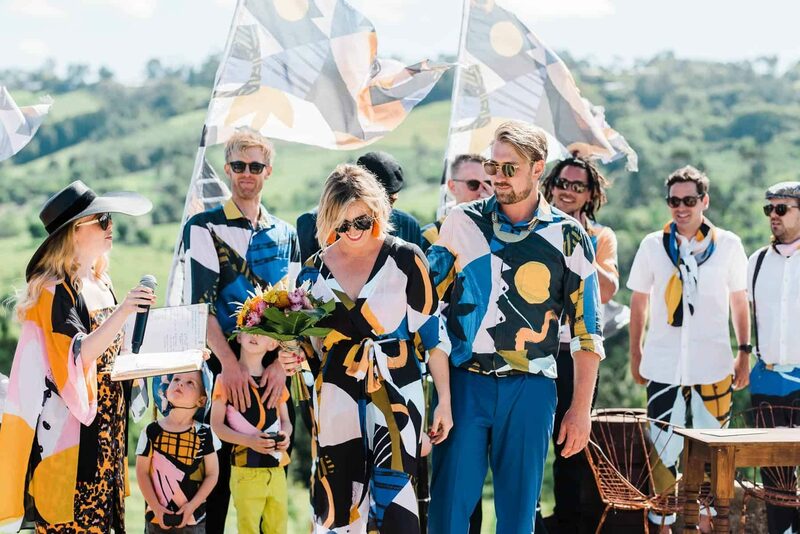 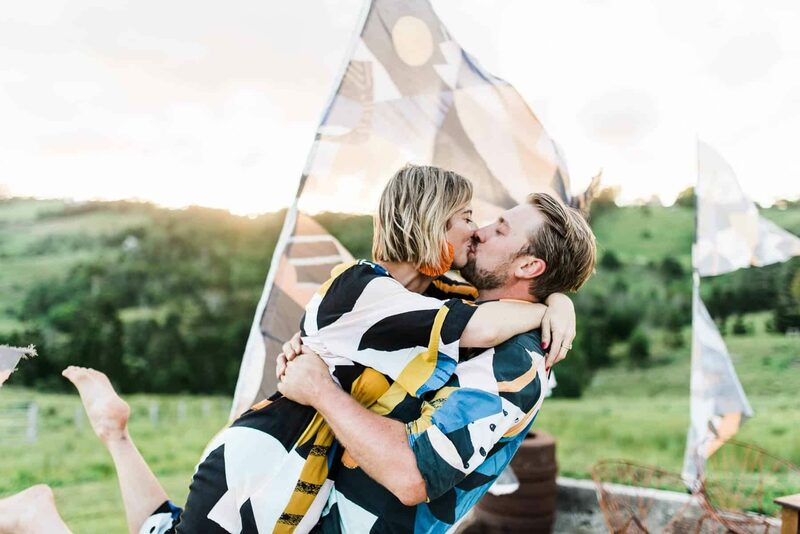 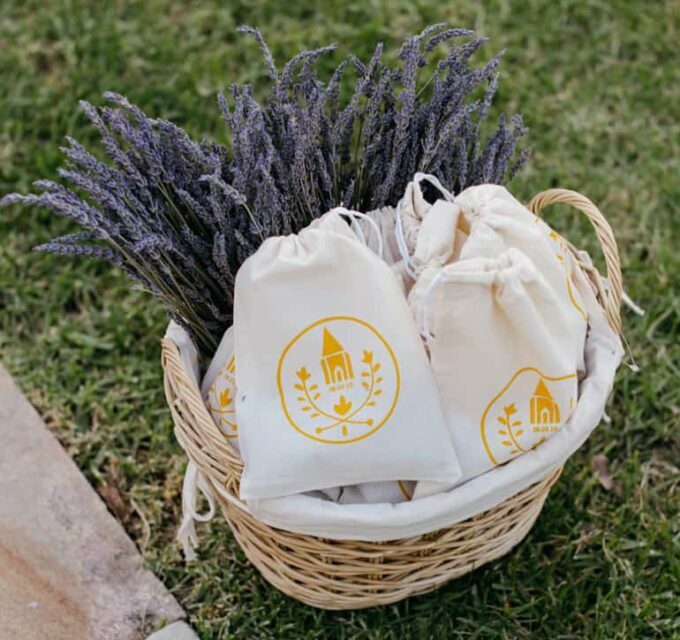 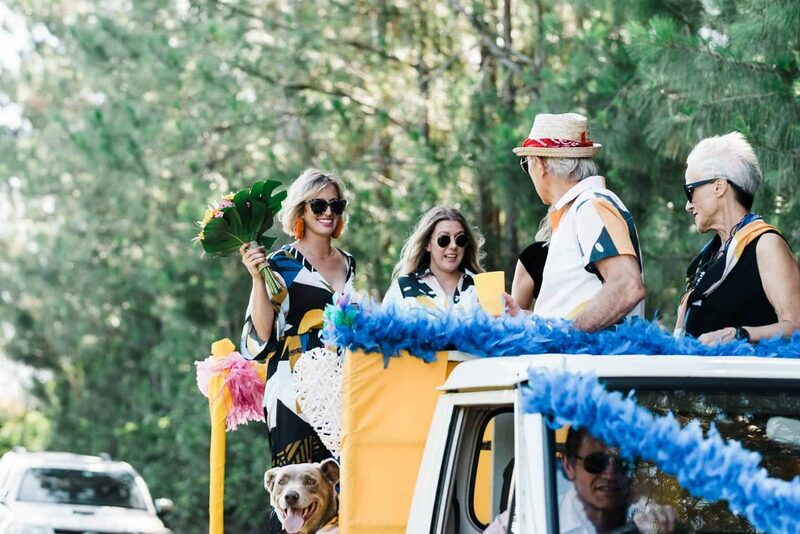 Sam popped the question while the pair were on their way to a music festival, so it was only fitting for these music lovers to throw a bit of a wedfest for their big day, complete with festival flags printed by Frankie and Swiss. 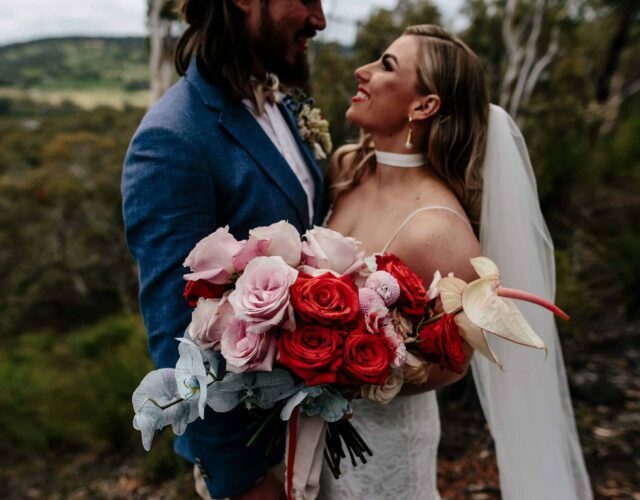 Sam’s Grandmother created a bright and colourful bouquet for Anna using fresh blooms sourced from Byron based florist, Beautiflora.